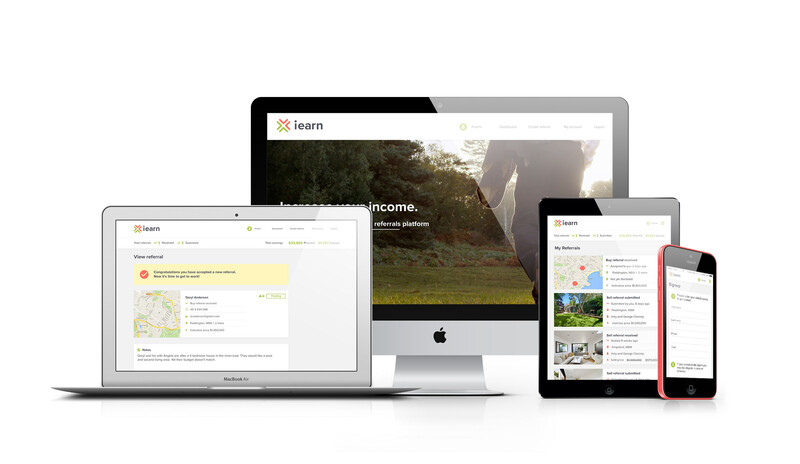 iearn is an online referring platform for real estate. 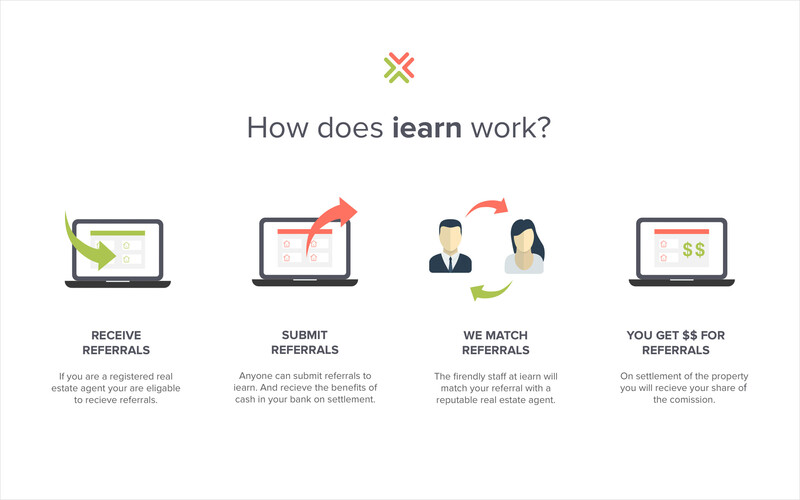 It allows the user to login and refer a buyer or a purchaser. Real estate agents are then assigned the referral. After collaborating with the client and seeing their sketches on what they were after I came up with a few draft options. The idea was that you are earning money, but there is a full circle in that earning process. 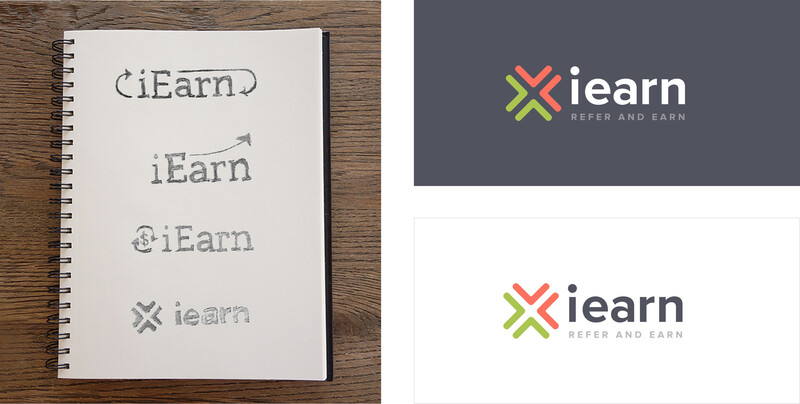 I came up with the arrows, these represent the 4 elements of iearn. They all point back at each other to suggest that no matter what way you come in you will get something back. The client was very excited about using green and red so I came up with a palette that fitted their brief, but bought it into brighter colours that look great on the web. Illustrations were used to express the 4 areas of iearn. Here I helped them to define their customer journey. This also helped with deigning the areas for the back end and how we broke it up. 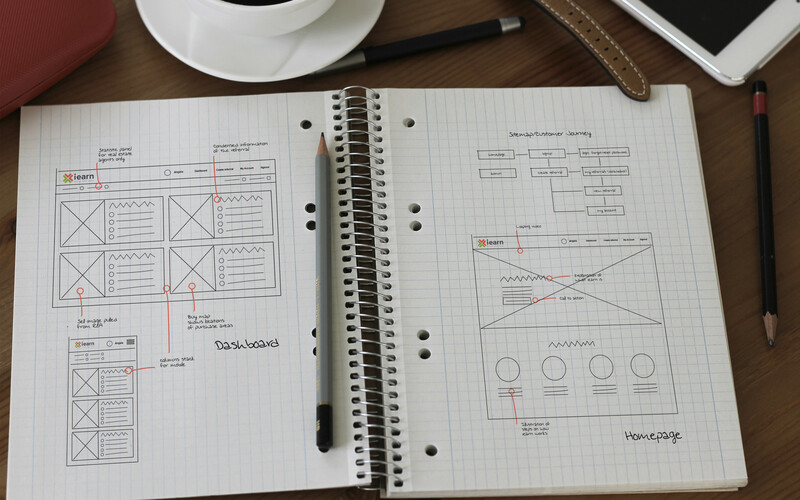 Before we attack the design faze of the project it's important to get the architecture of the site right. For this part I worked closely with a UX Architect to get the business plan down, customer journey, site map and then wireframes. This was a large part of the project as the software that was being built for the back needed clear concise instructions that would help mould the structure of the site. 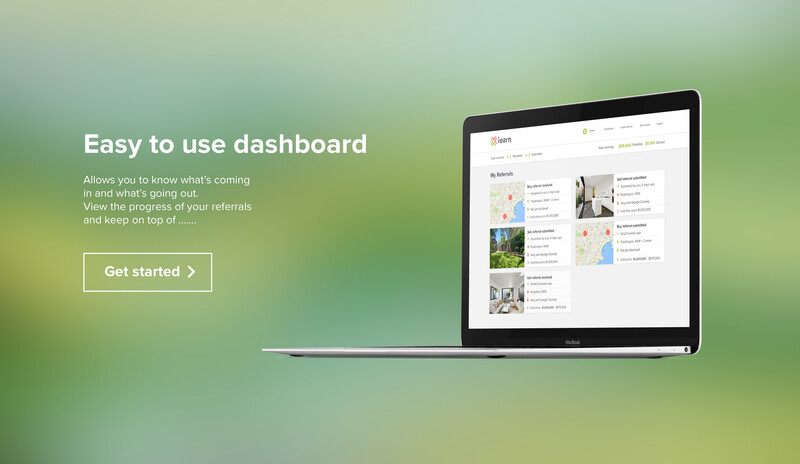 The dashboard design was done in fazes. As illustration was the first thought for the visuals, but as it turns out we went with maps for purchases and images for selling.